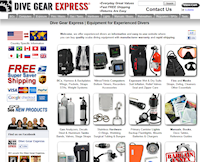 " As Dive Gear Express has expanded our global presence, we wanted to provide more internationalization of our e-commerce site. One key aspect of our internationalization plans offering the visitors the ability to view the prices of our products in their choice of a familar currency. 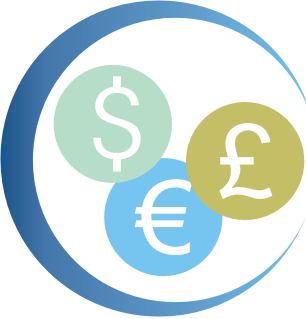 Our current platform, ShopSite, does not adequately handle multiple currencies. We were in the process of researching a migration to a new shopping cart platform which could handle multple currencies when we discovers Dynamic Converter. We had a small trial running in just a few minutes. That was very successful. We then deployed to our entire website, just as easily. Dynamic Converter provided us with a modification that allowed us to convert the prices appearing in our Select dropdowns as well. 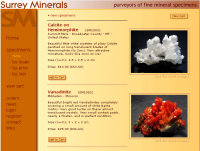 We made some minor modifications to our ShopSite templates to improve the cosmetic appearance of the additional currency display. We had a few questions which were always answered by their technical support. "If you are looking for a seamless white label solution to currency conversion for your site, we would gladly recommend Dynamic Converter Gold. We started using Dynamic Converter during its beta stage and its worked without fault since we implemented it. You'll be hard pressed to find an easier and more customised solution anywhere else. We don't have a shopping cart system, and you don't need one. With a small amount of work, you can invisibly (with the Gold package) integrate this into any site, improve sales and help your customers at the same time. Well worth it! Have a look at our site and see how we implemented it..oh...and why not book a tour to New Zealand while you are there!!" "Dynamic Converter is great! My site is heavily reliant on international business and accurate dynamic currency conversion was a must. Dynamic Converter could hardly be simpler to install and customise to ones needs. "I think Dynamic Converter is fantastic. We are a Canadian company and most of our online traffic comes from our neighbours to the south, the US. Showing our Canadian price list in US dollars had been a problem up until now because of the fluctuating exchange rate. It took a few minutes to install Dynamic Converter and the problem was solved. Thanks"
- From the people at Retail Tag Mfg Corp.